Every fan of Project Runway knows that Mondo Guerra was robbed of his deserved victory on Season 8 of the fashion competition. And we rejoiced when he won the first season of Project Runway All-Stars. Currently, the uber-talented Mexican-American designer is a mentor on Project Runway: Under the Gunn and to celebrate the launch of his limited-edition shoe collection for Crocs, Mondo hosted a viewing party of the show at the new Crocs store in Manhattan's hectic Herald Square shopping district. Project Runway fan favorite and All-Stars winner, Mondo Guerra. The admittedly moody but lovable Mondo told us being a mentor is harder than being a contestant and he really goes to bat for his designers, whom he affectionately calls "my children." Mentees from the show (contender Blake Smith from Anya's team and quirky Isabelle Donola from Nick's team) along with past contestants (fellow Season 8 alum, Ivy Higa) attended the launch event to show their love. Curiously, no-one from team Mondo was there. Hopefully that means one of his designers won the competition? Fingers crossed. While supplies last, Mondo for Crocs will be sold exclusively at the 34th Street location and then released nationally in September. 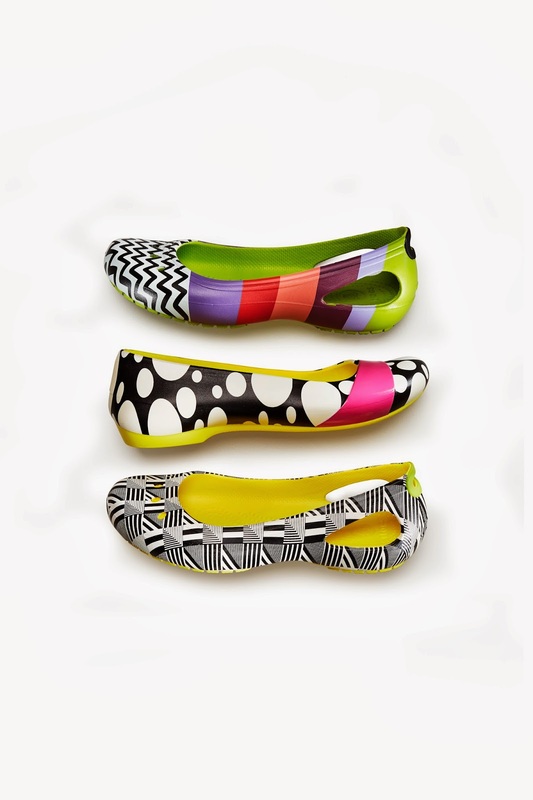 The three styles range from $39.99-$49.99 and feature Mondo's signature bold patterns on some of Crocs' most popular flats, and since we're all about comfort without sacrificing style (well, there was that one pair of orthopedic-looking Aerosoles we rocked a few years back), we're living for these shoes right about now. By the way, besides Mondo's adorable shoes, who knew Crocs sold more than those comfy but clunky faux clogs? For spring and summer they have a variety of cute wedges and boat shoes.